Cultural Park Theatre Proudly Presents…The Wizard of Oz! Dorothy Gale is swept away by a tornado from her Kansas farm and dropped in the magical land of Oz. Encountering whimsical characters including good witches, bad witches, talking animals, walking scarecrows and more! To find her way home, she must journey along the Yellow Brick Road to see the mysterious and all-powerful Wizard in Emerald City. Along the way, she makes new friends but encounters the Wicked Witch of the West, who will stop at nothing to get her hands on Dorothy’s magical ruby slippers. To make it home safely, Dorothy must learn an important lesson: there’s no place like home. Click your heels and join the cast of The Wizard of Oz on our journey to The Emerald City, Opening Friday, September 7th and running through the 16th. Performances Friday and Saturday at 8 pm & Saturday and Sunday at 3 pm. 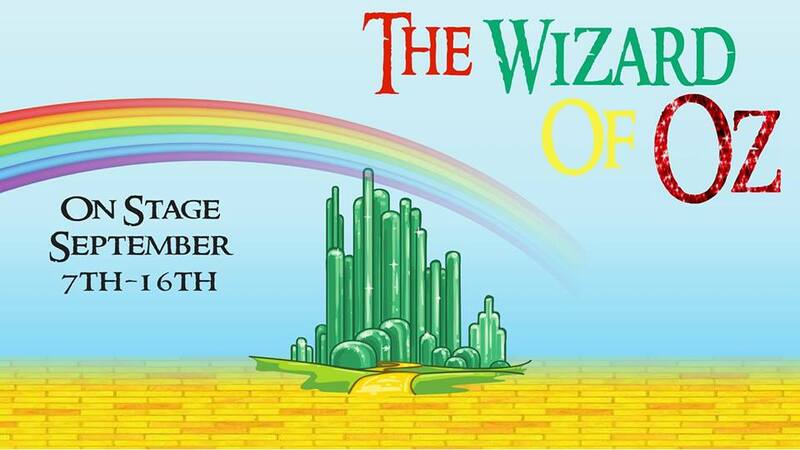 To purchase your tickets, Follow the Yellow Brick Road to the box office or call 239-772-5862.